As the Great War raged on, the German military foresaw the value of a pistol-caliber automatic firearm, soon to be known as the submachine gun. 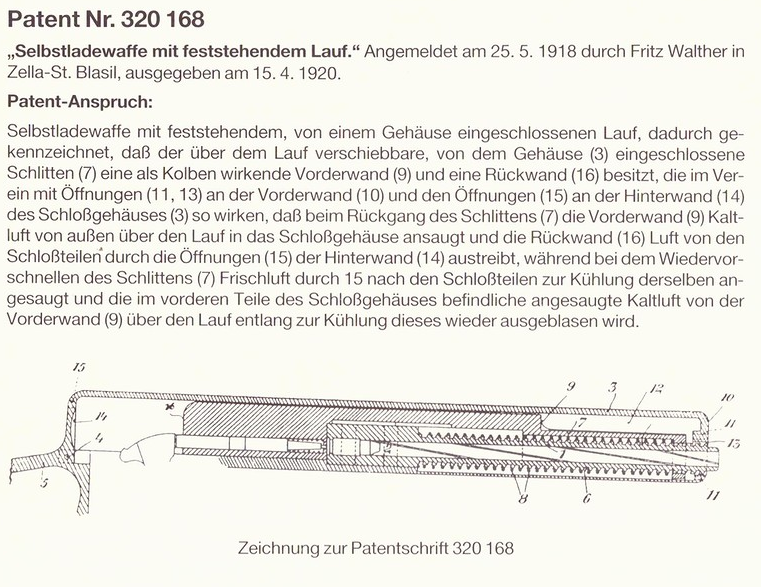 Due to such, trials were held to find such a gun, and this gun would gain the title "Maschinenpistole 18/1." The Bergmann design won this title. However, very little is actually known of the competitors today. 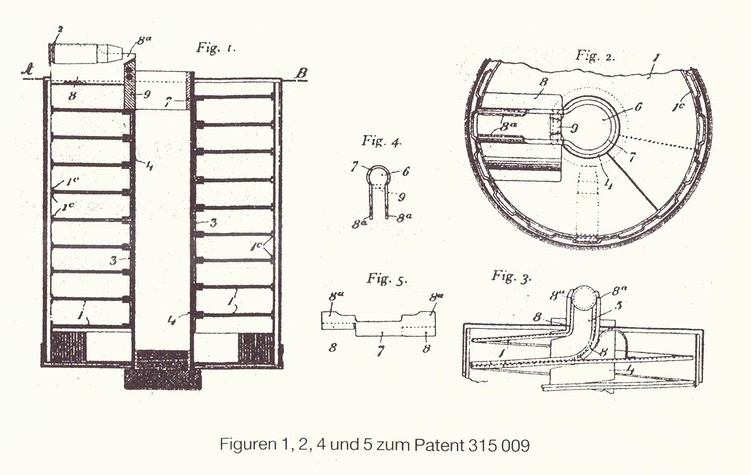 Luckily, I unearthed a photograph and a few patents (patents found in **** REVUE Nr. 102 and Nr. 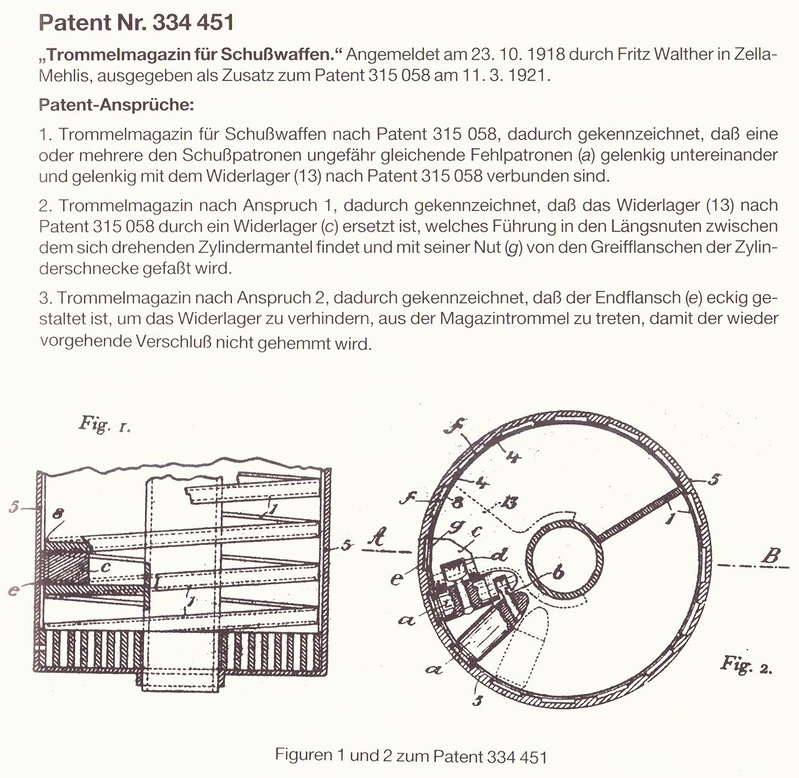 103) regarding at least one of the reported two prototypes submitted by Walther. By trial requirements, this firearm should be capable of automatic fire from a closed bolt and would have been chambered in 9x19mm Parabellum. It's seemingly gas-operated, and it utilizes a concentric recoil spring. The sights consist of a front blade and what I'd assume to be an adjustable rear aperture sight. The stock has a protruding cheek rest, giving it that more "sporterized" look. Of greater interest is the Trommelmagazin. I can't quite figure out exactly how the magazine functions, but it's almost certainly influenced by the Lewis Gun and its predecessor, the McClean machine gun. At the top of the magazine is some sort of recess or trap door that I believe to hold a follower and/or oil for lubricating the ammo. 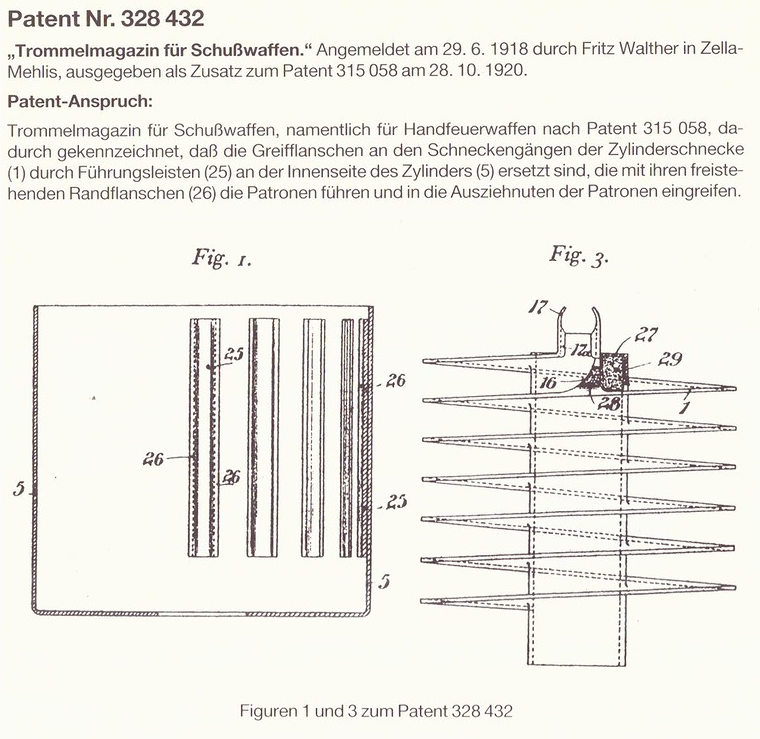 Ammunition capacity is unknown, but the patents show sixteen cartridge tracks. My educated guess is that the magazine may have been able to hold eighty or more cartridges. 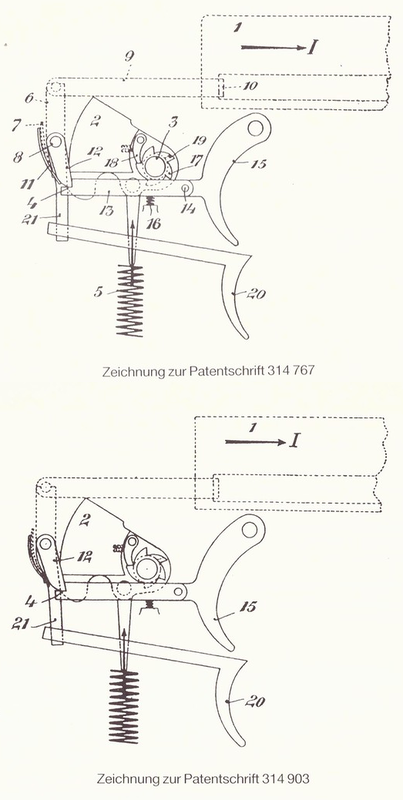 Other patents Fritz Walther submitted alongside the Trommelmagazin patents, which I'd also assume would be related to the SMG at question, are ones for a dust cover, extractor, and a dual trigger mechanism for alternate fire. Whether this would have been for either semi-automatic and automatic fire or two different rates of automatic fire isn't quite clear to me. 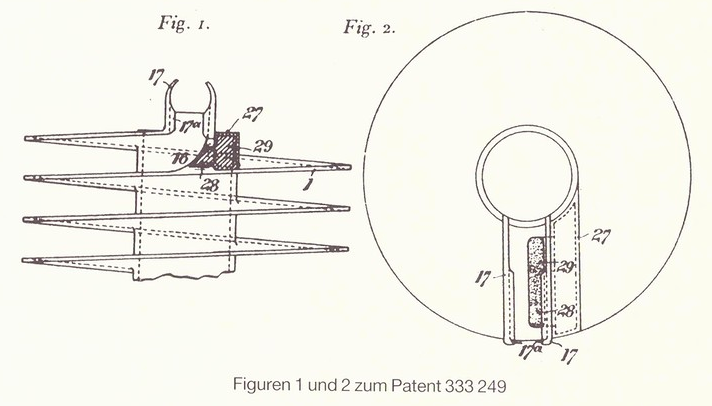 There's a few more patents, than what's already posted here, in those two issues of **** REVUE that I'm sure are related. My speculation on how well this firearm performed in the trials? 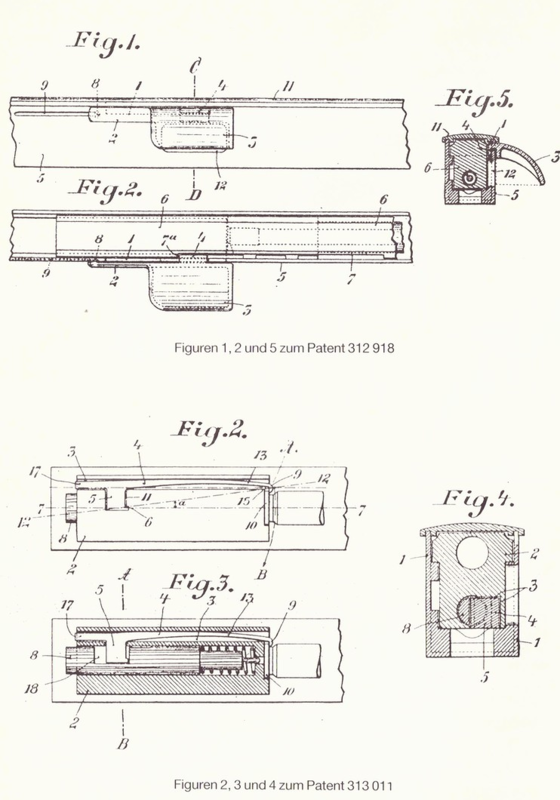 Going back a few years to Samuel McClean's machine gun (this guy had a ton of bizarre patents), that firearm had a number of problems related to its concentric recoil spring and magazine. 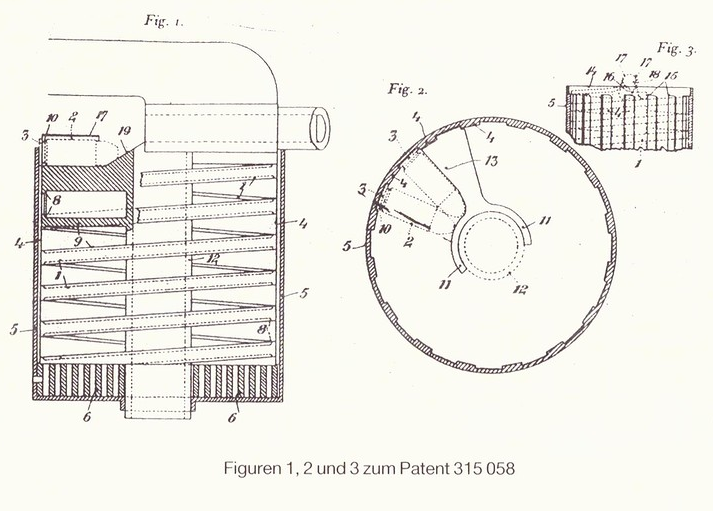 Despite being water-cooled, the spring still caused the gun to overheat, and the constant slope of the magazine's ammunition feed caused jams due to the individual cartridges putting too much weight on the cartridges in front of them. Isaac Newton Lewis addressed these problems with his design. However, for more of that story, I'd HIGHLY suggest C&Rsenal's video, "Small Arms of WWI Primer 034: The Lewis Gun." So, I would have expected Walther's SMG to have had roughly those same problems. Additionally, it seems like it'd have been too expensive. Bergmann's design used the already-serviced Trommelmagazin utilized by P08 pistols and carbines, which is more economical. Nonetheless, despite these potential shortcomings, this Walther SMG seems like it would have been fairly accurate and easy to control when it'd be working properly.